Banks, J.A. And McGee-Banks, C.A. (2010). Multicultural Education: Issues and Perspectives. Wiley. Cantoral, R. (2013). Teoría Socioepistemológica de la Matemática Educativa. Estudios sobre construcción social de conocimiento. Barcelona, España: Gedisa. Davydov, V.V. (1975b). The psychological characteristics of the prenumerical period of mathematics instruction. Soviet Studies in the Psychology of Learning and Teaching Mathematics, 7, 109-206. Kozulin, A. (1990). Vygotsky’s Psychology: A biography of ideas. Cambridge, Massachusetts: Harvard University Press. Radford, L. (2008). 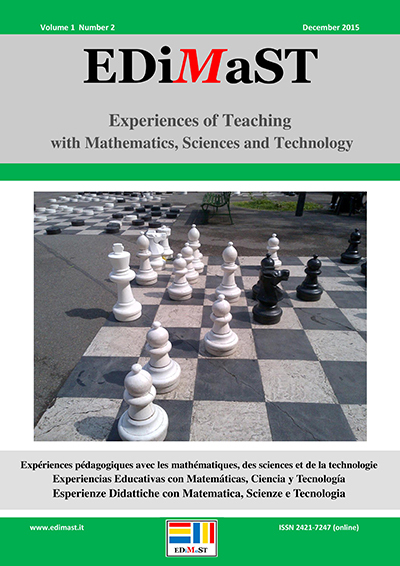 Theories in mathematics education. A Brief Inquiry into their Conceptual Differences. Working paper for the ICMI Survey Team 7. Vygotsky, L. (1986). Thought and Language, rev. & ed. A. Kozulin, Cambridge, Mass: Massachusetts Institute of Technology Press.